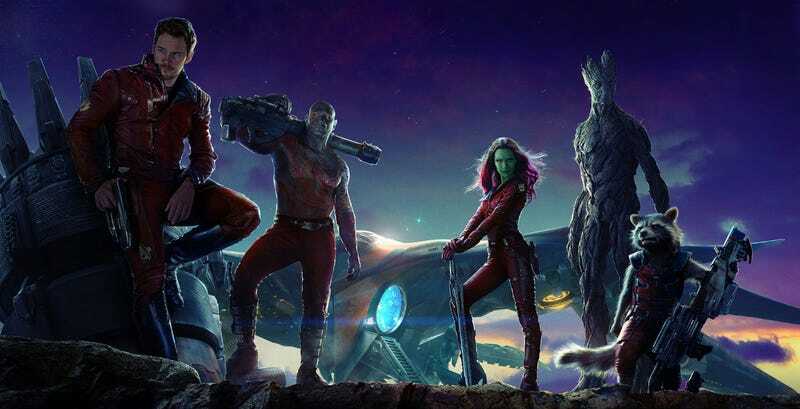 The second Guardians of the Galaxy film will start filming this year and when it does, director James Gunn will be the first person to shoot on a brand new camera. He’ll be using the 8K Red Weapon. A “Red Weapon” may sound like the name of a new Rocket Raccoon creation but really it’s just the latest camera evolution from the digital team at Red. The Weapon shares several traits with their previous 6K Red Dragon, but it has a much larger frame size, and shoots at a resolution so crisp, almost no one will be able to see the image at its highest potential. Here’s a photo of the unit itself. James Gunn also tweeted his excitement about the technical advancement. As for what exactly Gunn will be capturing with this brand new camera, we still don’t know. He’s been very open in saying that Guardians of the Galaxy Vol. 2 will, of course, continue the adventures of Star Lord, Gamora, Drax, Rocket and Groot, while also adding new characters and problems. They’ve already got the new soundtrack locked down, the mystery of Star Lord’s father should be solved, and while Thanos was a major player in the last film, he will not be this time. Gunn says this is a contained story that will not be simply set up for the subsequent Avengers films, Infinity War Part 1 and 2. And of course, all of that will be captured in 8K, which means you better start saving up for that new, top of the line TV.